We are the leading manufacturer and exporter of Brush in Can with Plastic temper proof cap Suitable for PVC/CPVC and UPVC Cement Solvent. Intricately Hand Painted Pitchers. Available in assorted / custom designs. 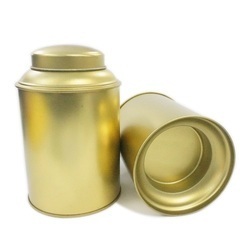 We are highly appreciated in the domestic market for our comprehensive range of deep drawn cans, which is offered in tin upto 65 mm in length. 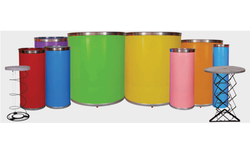 These products are precision engineered using finest quality material and modern machinery. Metal, size of vessel 115x90mm (height x dia. ), with spout for specific gravity experiments.